At the time, the company had no concrete People strategy, team, or anything really, and I had free reign in bringing it to life; I was excited by the signs a training budget was already implemented even without People Ops intervention, it gave a cue towards a company passionate about bettering it’s talent — a belief I hold strong in my People practice. In a world so filled with “perks” like ping-pong tables, beers, cereal walls (something we’re guilty of parading in our job specs, too, I accept) it’s a real privilege to work in a business with an logical and critical eye towards how we provide benefits to our staff so we boost engagement, and have return on our investment. Training budget is my favourite benefit offering here at Wonderbly, and a big contribution towards our long-established learning culture. People development strategies are re — Now the bosses have stopped reading…. AH! IT WAS A NIGHTMARE WHEN I ARRIVED HERE. It was a nightmare. The team were running loose on trips to Jamaica, New York, Thailand — spending >£600 of their budget on flights and a night or two accommodation for their two week “training holiday,” and £50 on a meet-up ticket in the destination of their choice. 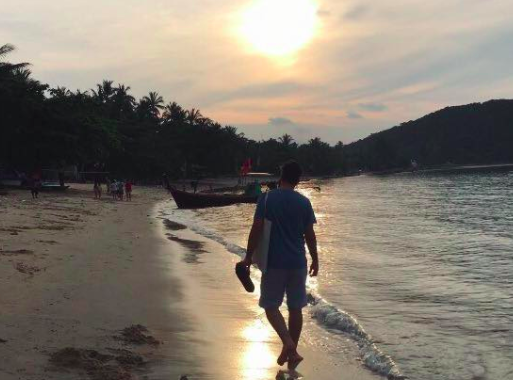 A member of our team focussed on his Learning and Development at a CSS Course in Thailand. The team I work with were, and are, honest, kind, hard-working. Not all team members were doing this, and there was nothing malicious in those whom were. The reason for the inappropriate use of the benefit is that no one was monitoring the use… and more importantly — no one was explaining what it was really for. The other unmanageable aspect of the training budget perk was the fact we had no platform, no visibility, no approval process. Our engineering team, bless their little cotton socks, had built an internal tool that, essentially, just posted updates in Slack. The tool required the employees to purchase the benefit themselves and then be reimbursed, or to request their manager’s credit card. The whole thing was very opaque and, frankly, a really yuck part of my first few months in the job. I began to hate the training budget. I resented that it existed before I had the chance to wrangle the administrative tendrils now suffocating my work days. I made a commitment, very early into 2016, to find a solution to the platform side of our budget, but also towards the process, and, in turn, the mindset. This started with our yearly reviews. Training budgets now became something engrained in probation, yearly role reviews, and forward-looking career plan discussions. Suddenly we were seeing teams exploring less pottery classes** and NYC dev meet-ups, and more GA, Udemy, Coursea, Udacity, in-house organised public speaking training with RAS&D— the list goes on. Thank f*£k — we were finally onto a good thing. Alright. Platform. What a doozy. I won’t bore you with the ins and outs of the process I went through to assess the multiple platforms on the market (email me if you are interested!) but, ultimately, I heard about a product in Alpha called Sunlight.is. Skeptical, but excited, I booked a demo and subsequently begged them (like the admin-overloaded mad-woman I had become) to let me be a part of their first intake. They said yes, thank the People-gods. Although, I think they just wanted me off their case. I implemented for Jan 1 2017. The team loved it. We had 87% uptake in the first month, and a massively productive approval process, onboarding experience. A 99.9% decrease in admin from the People team, but now we could report, invoice, track, set budgets, reward performance, see team activity, so much more. ‘Finance owe me a bottle of wine,’ I thought. I still think that. Do we still have some issues now and then? Yes. I refer to the time someone sent a request to purchase a Google Home… but overall the training budget beast is now a toothless tiger, chillin’ on our sweet beanbags playing on our x-box with all our other ‘cool’ silicon milk-roundabout benefits. Overall: Training Budget. 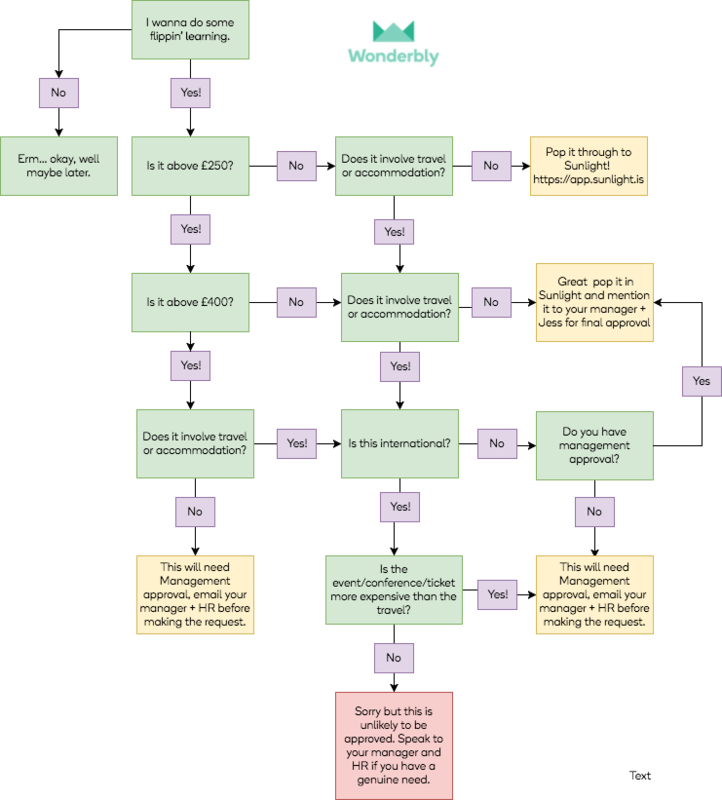 To implement, or not implement? Categorically: Do it. It’s a great perk, and your team will reap the rewards. But, and this is a BIIIGGGGGG but, do not do it without a lot of practical thought, a platform like Sunlight, and a process that engages the employee to consider their career and place in your team when spending it. It is not a benefit that will take care of itself without these things. Trust me because I have lived it: It has the power to become your biggest time and money burner. As it’s the time of year people usually start spending their Sunlight, I just wanted to remind everyone of the rules (ugh, I know, sorry) of Sunlight/training budget. Training budget is there to help you better yourself and a means for your professional development. And if there is one thing HR people love it’s professional f*cking development. Training budget is something you should think about with your manager, it should help you improve your performance, leading you towards a great review next year, and hopefully promotion to a bigger and better role once you have some slick new skills. That said, there are some rules about how to use Sunlight. And — If you don’t know, it’s generally best to ask. That’s why I am here, desperately looking like a receptionist, begging people to speak to me as they come in and out of work each day. Do you have training budget? How are you finding it? What else on the ‘benefits market’ beats or equals it? HMU for anything else, I love talking People and Talent.